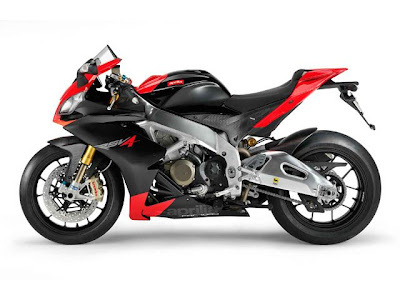 Aprilia is one of the manufacturing company for powerful superbikes. 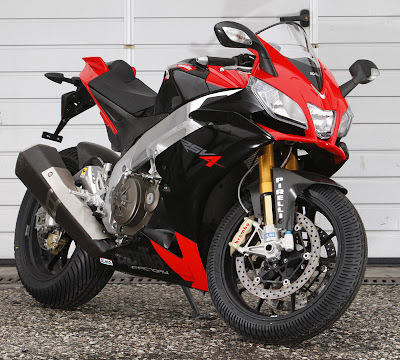 Aprilia is going to introduce a latest model, named as Aprilia RSV4. 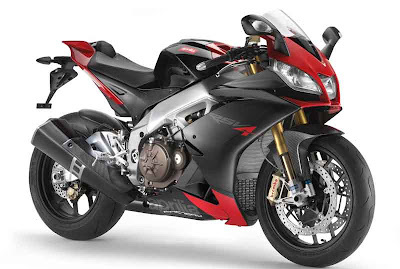 All of the motor bikes of Aprilia are enabled with the powerful engine and also has the great looking. 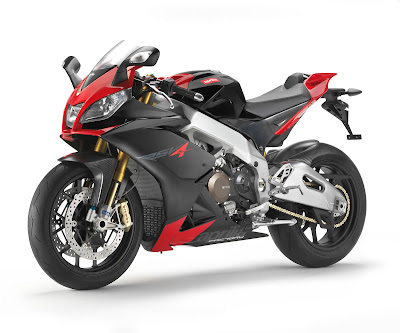 The Aprilia motor bike manufacturing company is expecting more from this motor bike. The brand new Aprilia RSV4 is enabled with the advanced featured and it has the powerful engine of four cylindrical formulas. The body of new Aprilia RSV4 is like V shape. The cost price of this motor bike is around 21000$. The engine of Aprilia RSV4 is very powerful. It has the powerful engine of 999.6 CC with the 65 degree V4 shape body. The engine of Aprilia RSV4 can be produced the maximum power of 180 HP and also friendly to the clutch equipped with the slipper and the six gear speeds of cassette style. The Aprilia RSV4 has the exhaust of 4-2-1 for the exhaust. The weight of the motor bike is almost equally distributed in the both front and back side of the motor bike. The front side of this motor bike has the weight of 52 percent and the rear side is 48 percent. The weight of the motor bike is around 395 pounds and it has alloy rim based wheels. The Aprilia RSV4 has the dual disc brakes of different combination. The front brake of this motor bike is 320mm and the rear side is 220 mm. The front suspension of this motor bike is fully integrated with the adjustable tin of 43mm forks and the rear side is loaded with the springs, wheelbase and compression with the adjustability of rebound damping for the smooth riding. The delivery of the torque is smooth. It will have some vibration at the time of producing the torque at the higher rpm. The Aprilia RSV4 has two handles of small size and these two are very straight comparison to other sport bikes. These features are helpful to handling the motorbike easily and safely. You can change the directions of the bike easily and ride also. The Aprilia RSV4 has equipped with the advanced technology for high pick up and maximum acceleration wit in few seconds. The fuel tank capacity is 17 litres. The cost price of this is around 10 lakhs in India. There are many leading super bike manufacturing companies in the world like Honda, Suzuki, BMW, Yamaha, Ducati and many more.